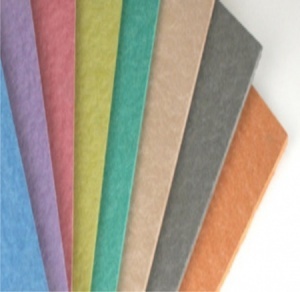 Sundeala is manufactured from 100% recycled paper and gives a semi self healing surface. The surface is pre-sanded which offers a soft velvety texture that requires no fabric covering and is ideal for use with pins and staple guns. Available in 6 popular sizes the Sundeala aluminium framed pin notice board is a stylish framed wall mounted notice board. 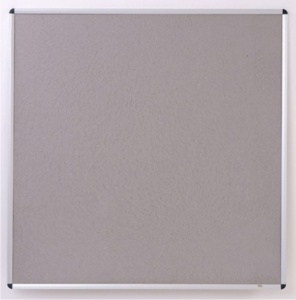 K Quality - Sundeala K Quality Standard framed Noticeboard incorporates natural colouring (Grey) made from 100% recycled materials. 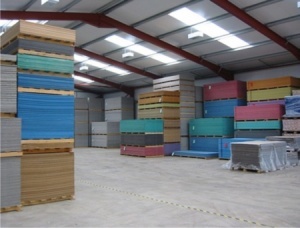 The Sundeala recycled product is for internal areas and is supplied 9 mm thick. Conforms to BS EN 622/3 type MBL. Ideal for interior use. 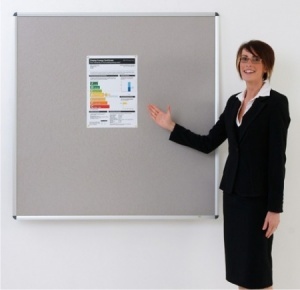 FRB Quality - Standard framed Noticeboard which is fully fire rated made from 100% recycled material. The pinboard area of these boards is composed of a Sundeala FRB Class B fire rated material. These Class B noticeboards have no fabric covering. They are ideal where fire safety is the prime concern. Sundeala FRB board has been tested under the European harmonised Standards BS EN 13823:2002 and BS EN 11925/2, and successfully meets the criteria for Class B. 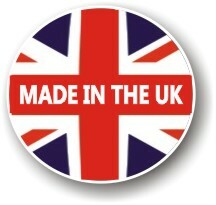 It may therefore be used in locations that previously required British Standard and Building Regulation classifications of Class 1 and Class 0. As a general guide Class B products should be used in routes and corridors, stairways, lobbies and kitchens. These Class B noticeboards are unframed 9mm thick. All boards are supplied with a wall fixing kits.